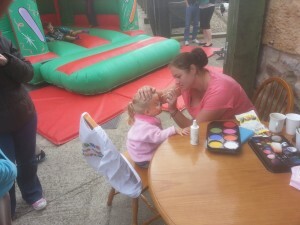 Do you need an all year round hat, brilliant for any activity whatever the weather. The Tilley medium brim outback Hat is made with sturdy, durable 100% waxed cotton. It’s washable. Using the latest technology, this synthetic wax finish has the character of traditional waxed fabrics, but not the sticky hand. The Tilley Hats are designed and engineered for travel, so you are ready for the unexpected turn in the road ahead. The Tilley Hats come in a range of styles and sizes to meet the needs of everyone. They are Versatile and Lightweight for light packing and multiple mix and match opportunities, they are a breathable, with moisture-wicking materials to maximize comfort in hot environments or while engaging in active pursuits, plus they’ll dry quickly when caught in an unexpected rainstorm. Tilley Hats have incredible strength and durability with some even being guaranteed for life not to wear out, are Wrinkle-resistant and Packable just roll them up and go, have a wash ‘n’ wear quality allowing you to wash them in your hotel sink and hang to air dry overnight and most importantly for some they are UPF Certified with sun protection built into the fabric. Tilley Hats are designed and engineered for travel, so you are ready for the unexpected turn in the road ahead. 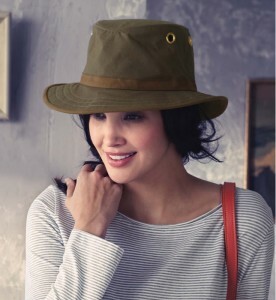 The Tilley Hats come in a range of styles and sizes to meet the needs of everyone. They are Versatile and Lightweight for light packing and multiple mix and match opportunities, they are a breathable, with moisture-wicking materials to maximize comfort in hot environments or while engaging in active pursuits, plus they’ll dry quickly when caught in an unexpected rainstorm. Tilley Hats have incredible strength and durability with some even being guaranteed for life not to wear out, are Wrinkle-resistant and Packable just roll them up and go, have a wash ‘n’ wear quality allowing you to wash them in your hotel sink and hang to air dry overnight and most importantly for some they are UPF Certified with sun protection built into the fabric. Here at JC Country we stock a range of Tilley Hats and each comes with its own insurance certificate should it be lost, stolen or most uncommonly damaged. 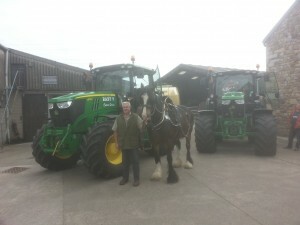 We stock The Tilley TH5 , LTM5, LT5B, T3, TWC7 and the TH9. 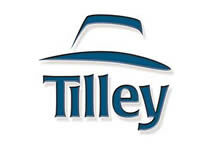 Where did the Tilley Hat Originate? Some years ago a gentleman named Alex Tilley came across one of the loves of his life: a homebuilt, 30′-long sailboat which he bought and renamed Karmananda. He fixed her up over several years. In the winter, when he couldn’t work in the yard, he varnished her parts down in the basement. Coat after coat of varnish. and he even had her anchor chromed! In time, she became more beautiful and at last was finished. But there was still something missing. Alex Tilley couldn’t find a cotton sailing hat in keeping with the quality of his lovely sloop. Sailors need hats and there wasn’t a good-enough one anywhere. Realizing that others besides himself needed one too, he decided, in January 1980, to oversee the making of a proper one. Three months later his family had prototypes to test on a sailing charter in Belize, and a couple of months after that they had succeeded in making some that they could attach the Tilley name to. By and by they were providing Tilley Hats to people who would drive to their home in suburban Toronto. He also went on to produce the ‘double bum’ shorts however they at first were unfortunately not anywhere as near as popular as the Tilley Hats.